many observers believe that the Trump Administration is simply creating an environment conducive to a favorable new trade relationship with its trade partners. It is prudent for a manufacturer to regularly evaluate its existing contracts, including supply contracts. The simple answer is to focus on what you can control and to not sit idle. Pointedly, as a manufacturer, the Trump Administration’s trade policy cannot be evaluated through one report, a singular set of analytical data, or a forecaster’s prognostication about the future of the aluminum or steel markets. It is far more complex, and any manufacturer who has not already done so should be preparing for long-term volatility in the international trade market. There is no debate that the United States is in an unprecedented and unchartered posture relative to its largest trade partners. One needs to look no further than the Trump Administration’s latest September announcement of a third round of 10 percent Chinese tariffs – bringing the total amount of impacted goods to approximately $250 billion or half of all imported Chinese goods. 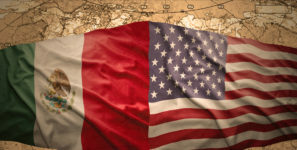 With the Trump Administration placing a deadline of January 1, 2019, before the latest round of Chinese tariffs is raised to 25 percent, there is mounting fear of international, political and business consequences on the horizon. Additionally, the Administration is threatening another $267 billion that would essentially subject all imported Chinese goods to increased tariffs. That said many observers believe that the Trump Administration is simply creating an environment conducive to a favorable new trade relationship with its trade partners. So, as a U.S. manufacturer who sources materials and products internationally, what are you supposed to do in the short- and long-term? The simple answer is to focus on what you can control and to not sit idle. To that end, all U.S. manufacturers – big or small – should consider three explicit and proactive steps to protect their interest. For one, companies should take advantage of the available exclusion processes. If granted, the exclusions apply retroactively to the date that tariff went into effect. The Commerce Department is tasked with reviewing exclusion requests for the Section 232 Steel and Aluminum tariffs. A product exclusion will be granted if the article is not produced in the United States 1) in a sufficient and reasonably available amount; 2) satisfactory quality; or 3) there is a specific national security consideration warranting an exclusion. There is no deadline for submitting, but the Commerce Department has received over 30,000 requests, so companies should evaluate their potential for the exclusion if they have not done so already. Similarly, the United States Trade Representative (USTR) has provided a mechanism to request exclusions for the Section 301 (China) tariffs. But unlike the Section 232 requests, these are time sensitive. There is an October 9, 2018 deadline for the first round of tariffs, and a December 18, 2018 deadline for the second round of tariffs. Key considerations are whether 1) the product is available only from China or whether a comparable product is available from other sources; 2) the imposition of the tariff will cause “severe economic harm to the requestor,”; and 3) the product is strategically important to the “Made in China 2025” program or other Chinese industrial programs. The USTR has not released an exclusion process for the latest round of 10 percent tariffs, but industry groups are petitioning the USTR for a similar process. Second, as good corporate hygiene, it is prudent for a manufacturer to regularly evaluate its existing contracts, including supply contracts. Now, it is even more critical, as existing supply contracts may provide relief resulting from tariff increase, price increase, force majeure or potentially even causes for termination of the agreement that can be invoked. Of course, to cancel or amend an existing supply contract is only functional if you can replace the imported good with another source for those materials. And, if you are entering into an amended, extended or new supply contract, it is important to incorporate key protection clauses to avoid major spikes in prices that would be damaging to your business model. Third, if you haven’t already, as a manufacturer who is importing goods and materials, it is important to evaluate the classifications of the imported products. The classification of each product is the determinative factor as to whether it may fall in or out of the tariff order. Whether there is an accidental misclassification, an intentional misclassification by the overseas seller or a product that is within a gray area, an audit of the classifications of your imported goods will avoid unnecessary surprise, potential liabilities and could result in an avoidance of higher tariffs. If there is uncertainty, the manufacturer can request guidance from Customs. There are some camps who will point to the incredible and sustained bull stock market as prima facia evidence that the Trump trade policy is not impacting the economy. There are others, such as the National Association of Home Builders, who has implored the administration to back off the aggressive trade policy as it is experiencing increasing cost and estimates the tariffs will translate into a $2.5 billion tax on the U.S. housing market. The only certainty we can count on regarding the Trump trade policy, whether short- or long-term in duration, is that now is the time to act and to do what is in your control to protect your interest. Christopher Kane is a Partner and Global Trade, Transportation and Logistics Team Leader at Adams and Reese (New Orleans). He maintains a multi-faceted practice, counseling clients on economic development matters, transportation law, construction law, business litigation cases, governmental relations and professional athlete injury claims. In some ways, these areas overlap, and as a result, the regional, national and international clients he advises benefit. He may be reached at christopher.kane@arlaw.com. Cole Callihan is an associate at Adams and Reese (New Orleans), whose practice encompasses maritime/transportation, trade and customs matters. He advises companies on their compliance with maritime and transportation laws and regulations before the US Coast Guard (USCG), the US Customs and Border Protection (CBP), the Maritime Administration (MARAD), the Federal Maritime Commission (FMC) and the Federal Motor Carrier Safety Administration (FMCSA). He can be reached at cole.callihan@arlaw.com.